Gov. Seriake Dickson of Bayelsa on Wednesday advised youths of the state to resist the temptation of joining cult groups. The Governor gave the advice, while addressing youths at the Oxbow Lake Pavilion in Yenagoa. Dickson said that his administration was against the involvement of youths in cult and cult related activities, as they were the most important segment of the society. The governor called on the youths to collaborate with the government and other stakeholders, to actualise the desired development and stability in the state. “You must also work with us in one area. Don’t allow people to mislead you; Say no to those who want you join cults. “We don’t want to see our young people getting involved in that. And work with security agencies, work with your leaders, your families for the stability and security of the state.” Dickson said. The governor also enjoined the youth to take advantage of the various institutions established in the state, to improve them and build their capacities in academics. He explained that the administration was interested in the happiness of the youth, which he said, was central to the state’s prosperity, stability and development. “You guys are important to us and your happiness is key to the prosperity, development and stability that we have been working hard to see in this state,” he said. The News Agency of Nigeria (NAN) reports that Dickson had also visited former President Goodluck Jonathan at his Otuoke country home in Ogbia, as part of the New Year visits to communities across the state. 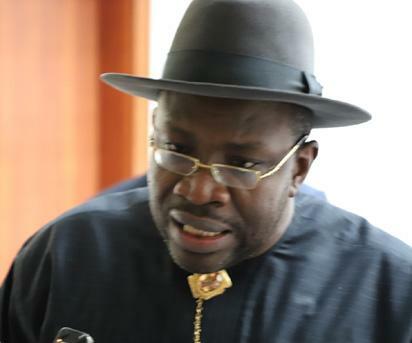 The post Dickson urges Bayelsa youths to shun cultism appeared first on Vanguard News.